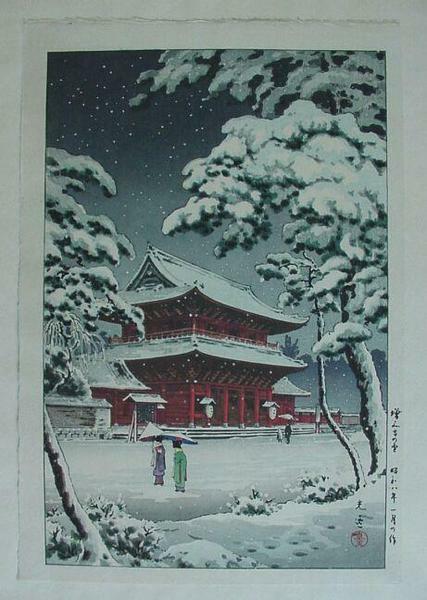 [Go Back] [New Search] Details for Tsuchiya Koitsu (1870-1949) "Zojoji Temple in Snow"
One large Oban size Japanese woodblock print from Koitsu, a famous shin hanga artist. 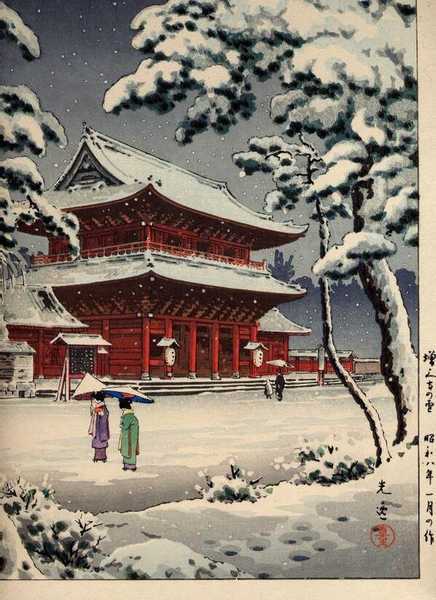 Print depicts snow scene of a temple. Artist seal and signature are on lower right. No publisher seal so may be a later edition. 10.5" x 15.5". Tip mounted on paper on left side. Excellent condition. No mat burn, no fox.